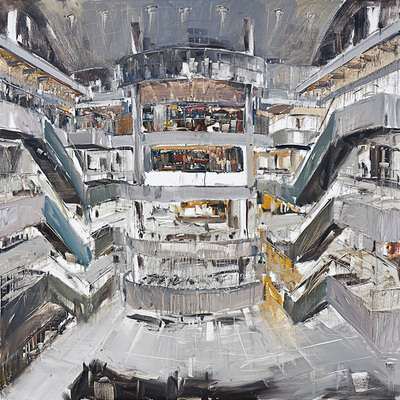 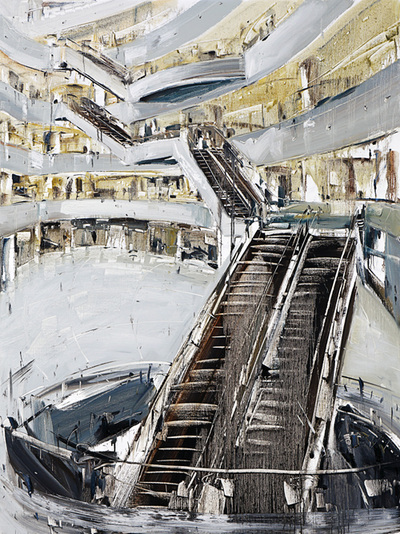 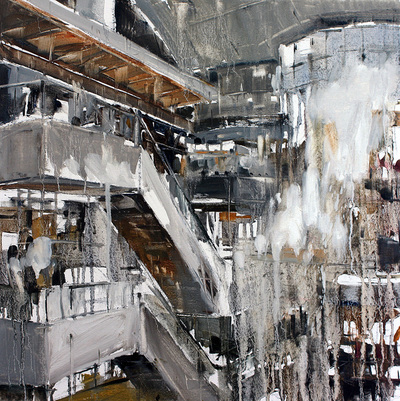 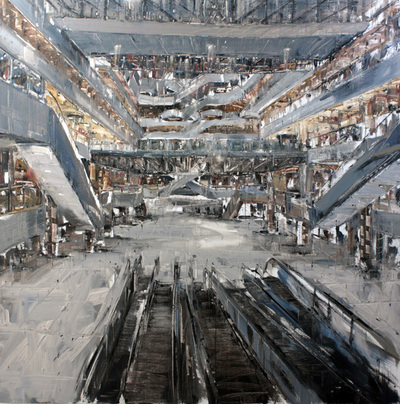 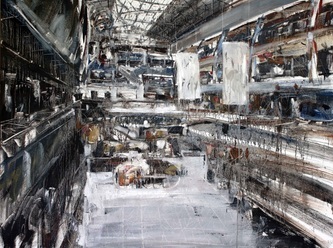 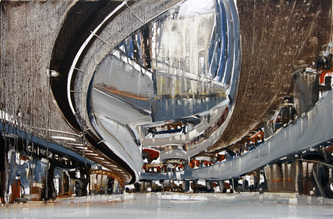 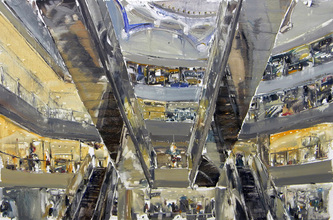 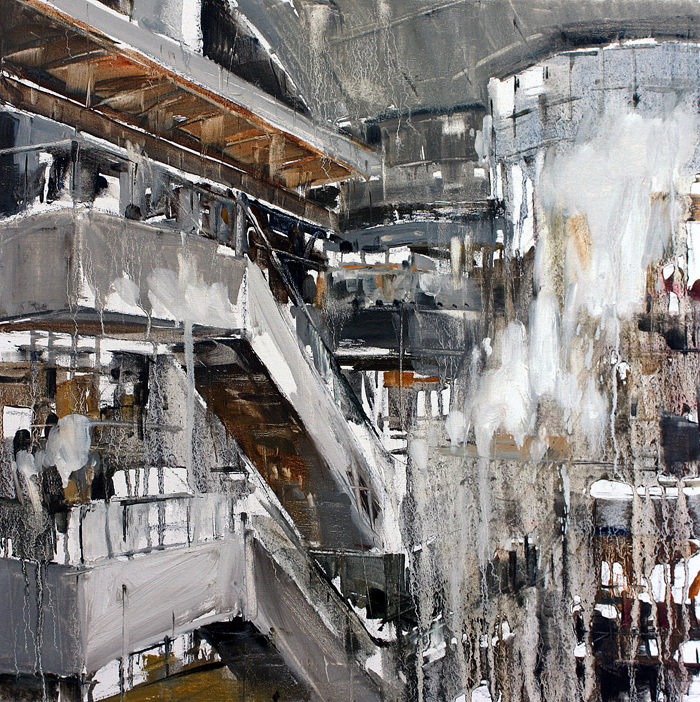 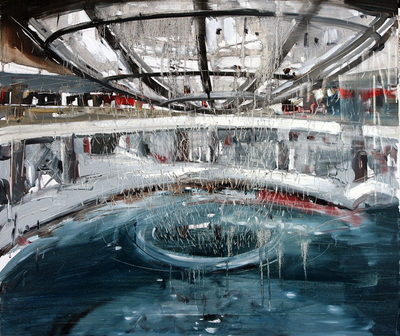 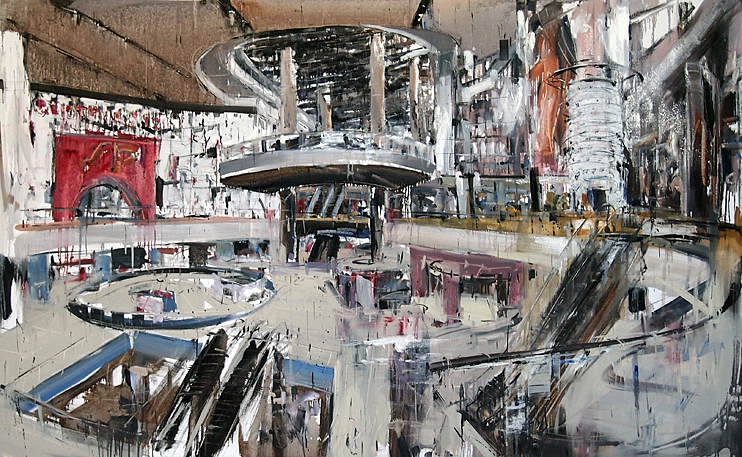 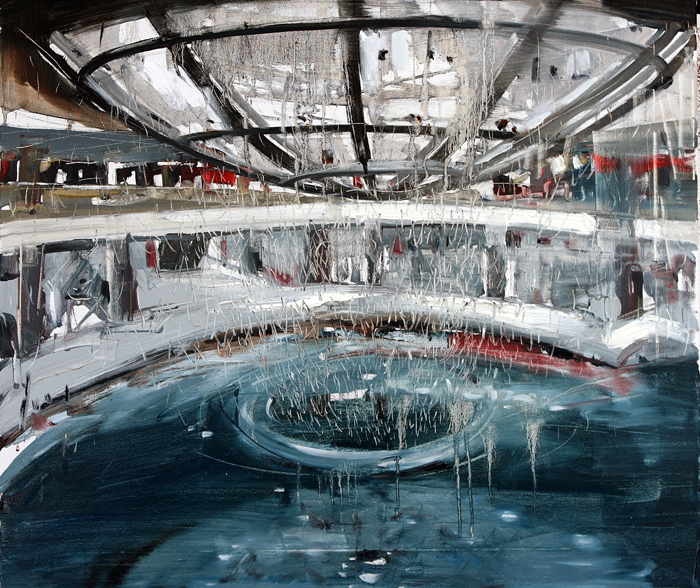 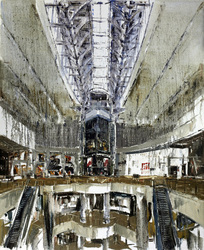 Inspired by the mega architectural structures of shopping malls in Singapore, The Mall is a series of paintings depicting unstable spaces on the verge of collapse and in ruins. It is a study of space as concept and space as symbol. 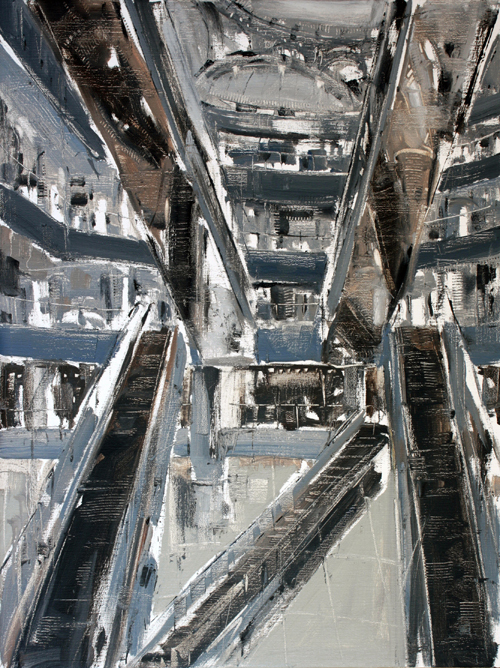 These works, distinctive in their eclectic brushwork and a subdued palette with grey overtones, create an ambiance of light and space, inviting contemplation.